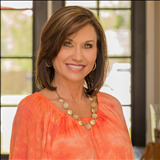 Northwest Florida's Gulf Coast is rife with tons of great properties for an expert house flipper. Flipping houses is a lot like mining for gold back in the westward expansion days; those who know what they are doing are likely to walk away with the coin pouring over, while those attempting to operate on luck will likely be letdown emotionally and financially. In order to maximize your chance of success, learning everything you can about house flipping should be a priority. Here are a few of my tips for those who wish to see if there is gold in there hills (of house flipping). 1. Make friends with a reliable remodeling company, and every type of contractor and tradesman you possibly can. While most houses one would purchase to flip will generally be full of minor repairs one may be able to fix on their own, that isn't always the case. Sometimes, added damage can be unearthed, or things can just go terribly, terribly wrong, so having professionals you can trust to step in when need be is paramount to success. 2. The six main areas you want to be in working order on a flip house are as follows: electrical, roofing, plumbing, the heating/cooling systems and the foundation and structural integrity. These can be quite costly to fix, and will cut severely into your profits. 3. You want the ugly duckling houses, ones with mostly cosmetic fixes needed. This way your repairs are cheap and easy, keeping your profit margin as wide as can be. 4. Once purchased, order a dumpster and throw away everything! Even the sinks if they are not up to snuff. This will allow you to have a blank canvas to work with, and can put together the most beautiful interior possible for your new buyers. 5. Have everything painted! The indoors, the outdoors, everything. A fresh coat of paint can really make the difference when attracting a buyer. 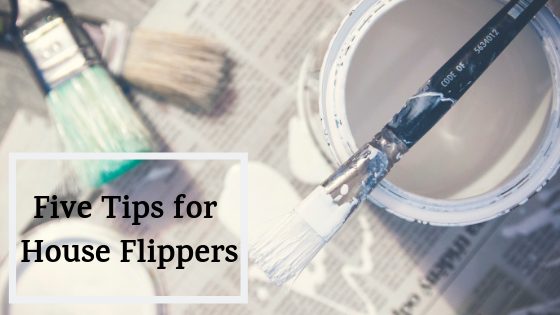 Follow these five tips and you'll have a much easier time as house flipping. Whether it is your first time attempting something of this magnitude, or if you are an expert with several houses under your belt, these five rules are absolutely necessary in all cases. Happy hunting!